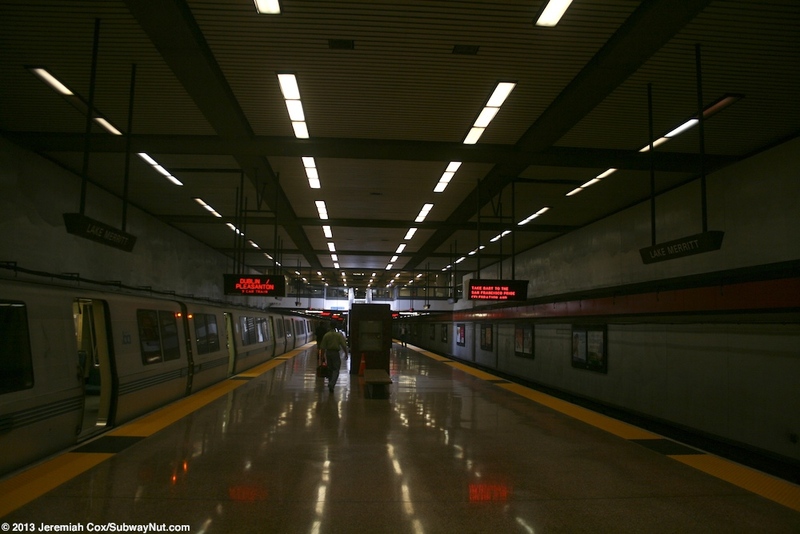 Lake Merritt is an underground BART station in southern Downtown Oakland. 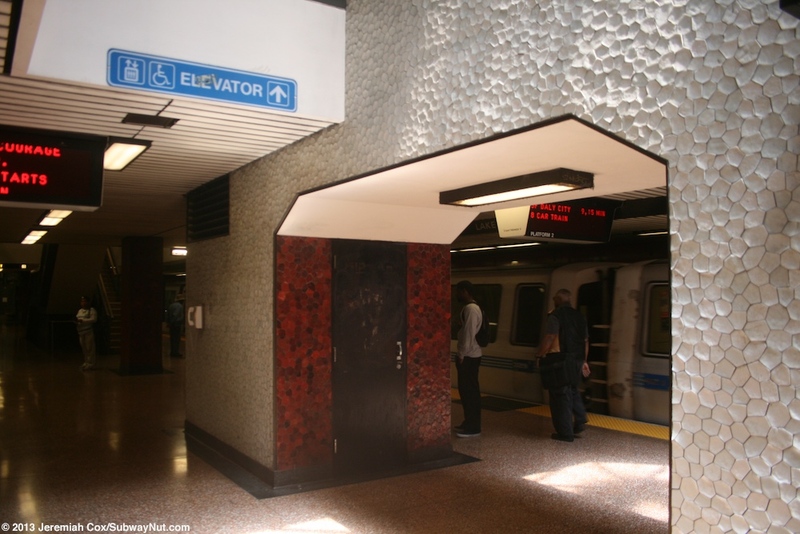 The station was part of the original BART line and opened on September 11, 1972. 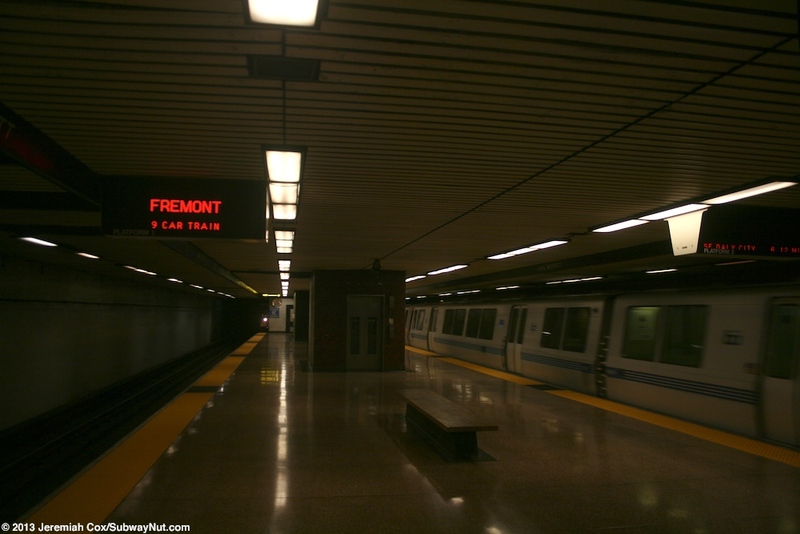 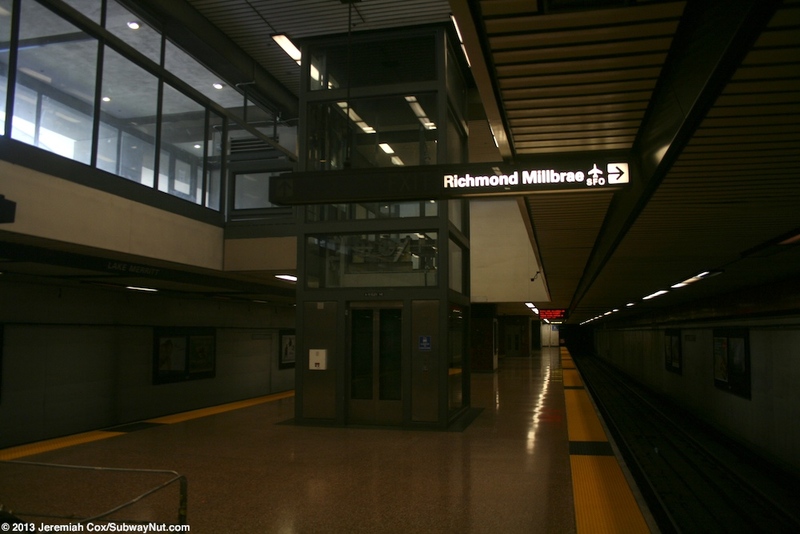 It is the closest station to Amtrak's Oakland-Jack London Square Station a half-mile south. 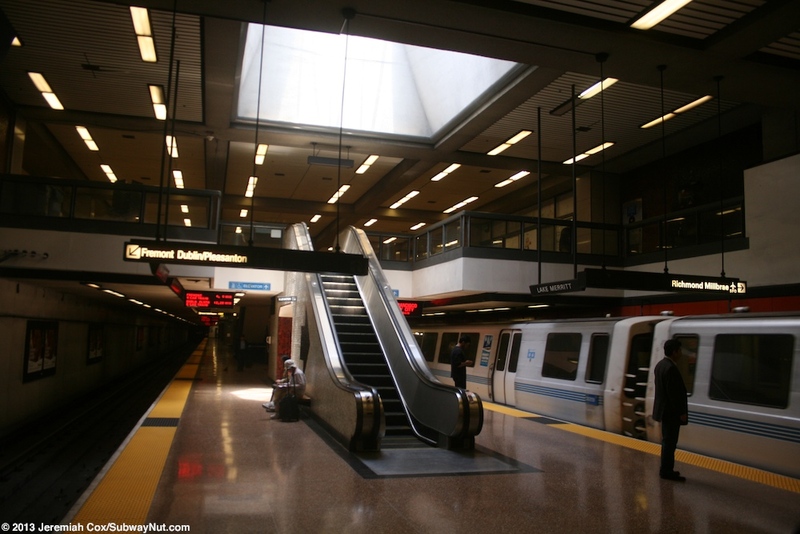 The station has a plaza above it that once housed the now closed and demolished in 2010 headquarters of BART because of earthquake danger. 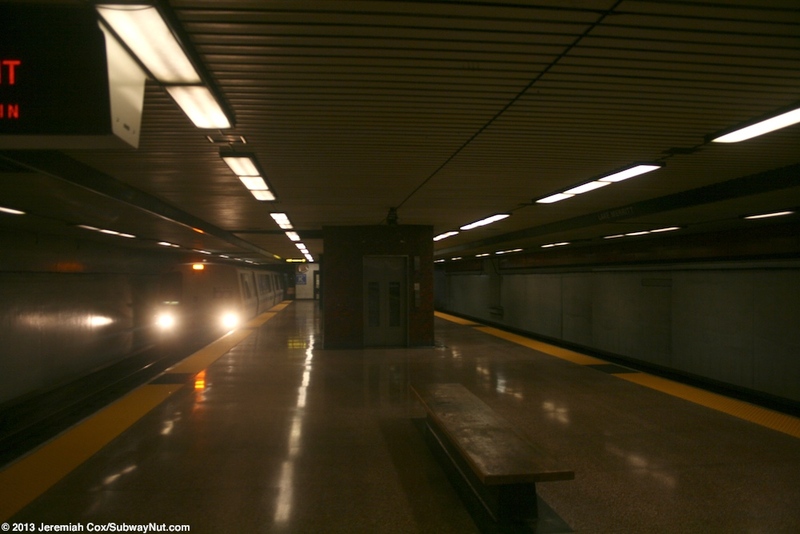 The station still houses the BART control center and central police station and other offices, which are partially underground. 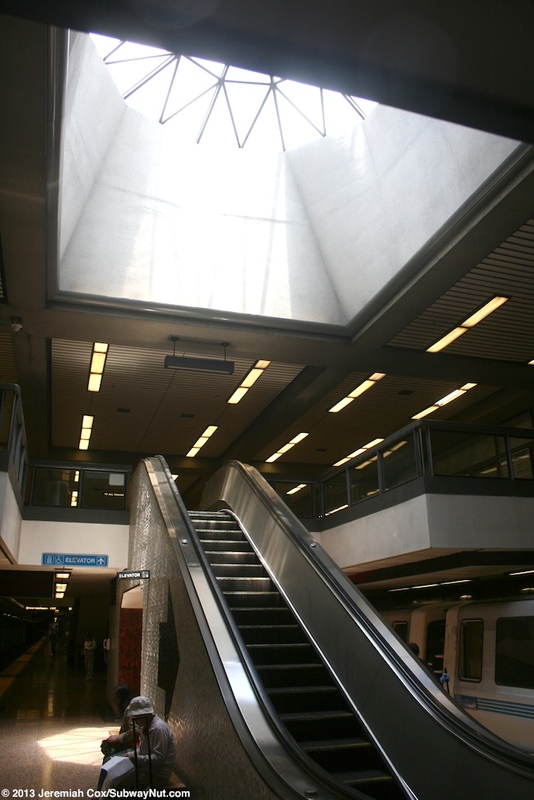 The plaza above includes skylights and a sucken plaza at the same level (with windows) as the station's mezzanine that doesn't seem to be opened to the public. 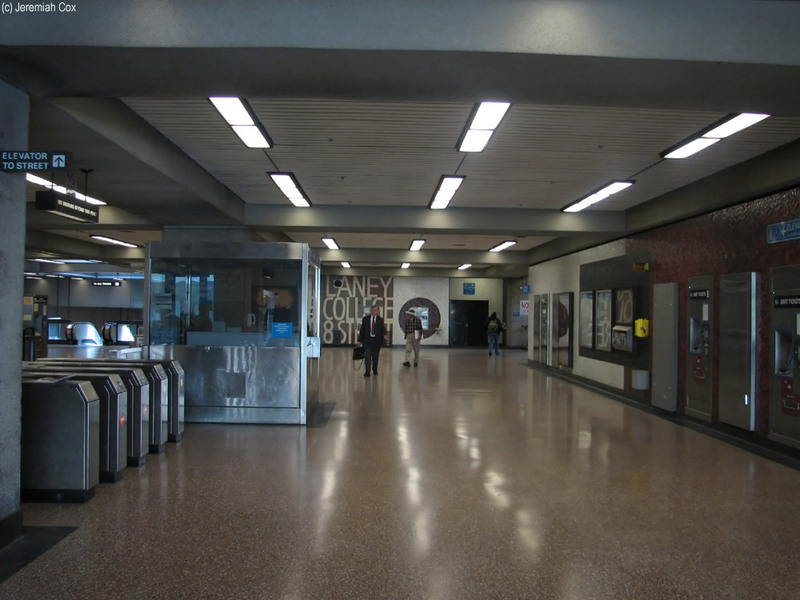 Unusual plazas let light down onto the station's mezzanine and down to the single island platform below. 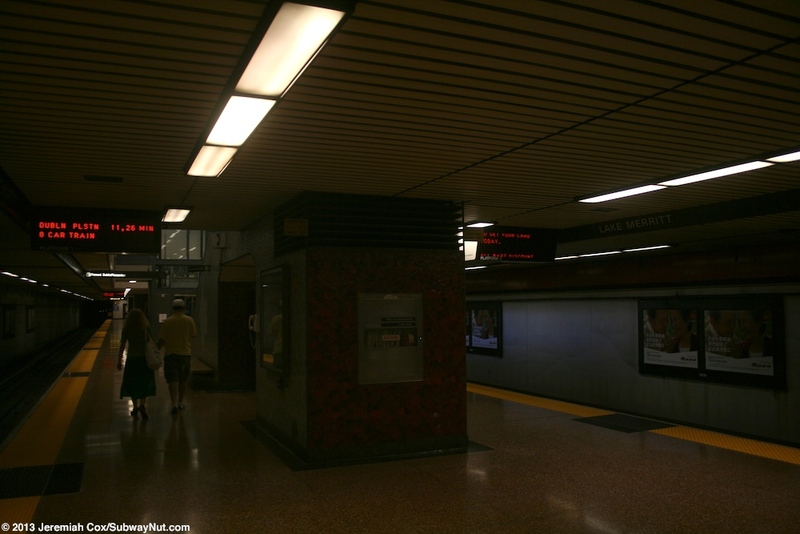 The platform itself has some uniquely red and orange circular tiled walls. 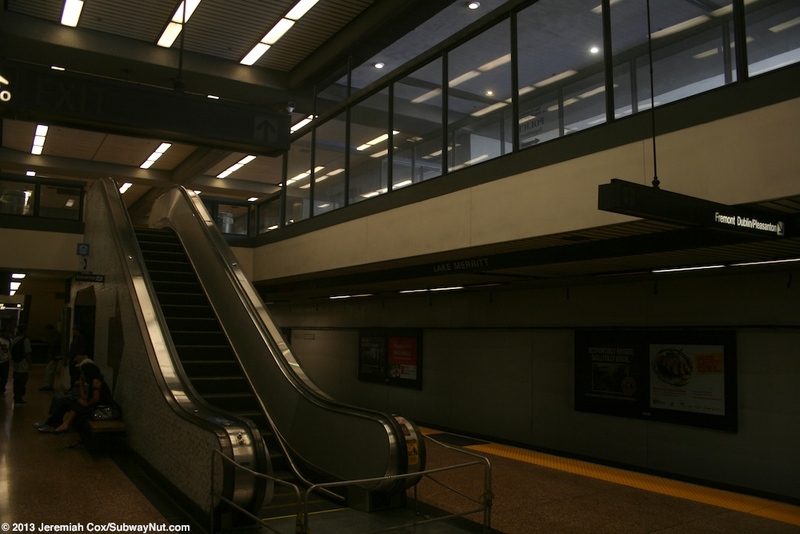 Two escalators, two staircases and two elevators, one is original (don't know if its still operational) and one is more modern with a glass walled shaft lead up to the mezzanine. 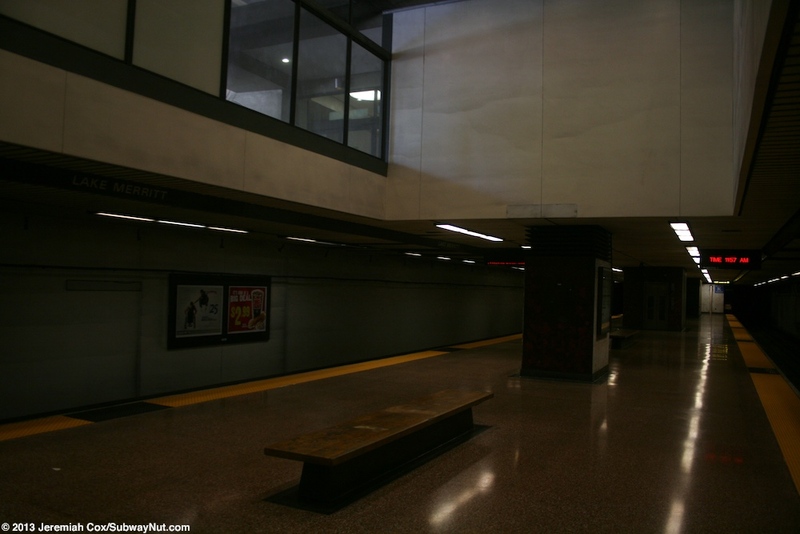 There are four exits up to the street at the SW and SE corners of of 9th Street and Oak Street and NW (with elevator) and NE corners of 8th Street and Oak Street. 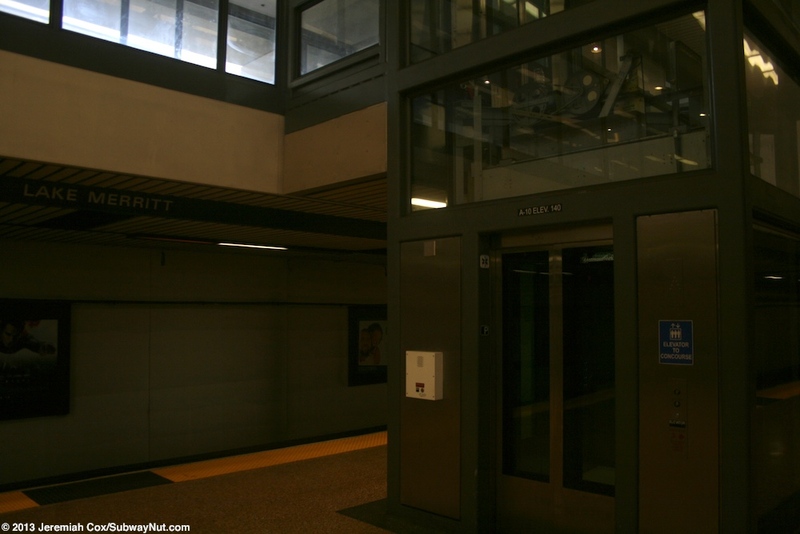 Each of these are fully enclosed with white roofed and glass walled entrances that have blue doors. 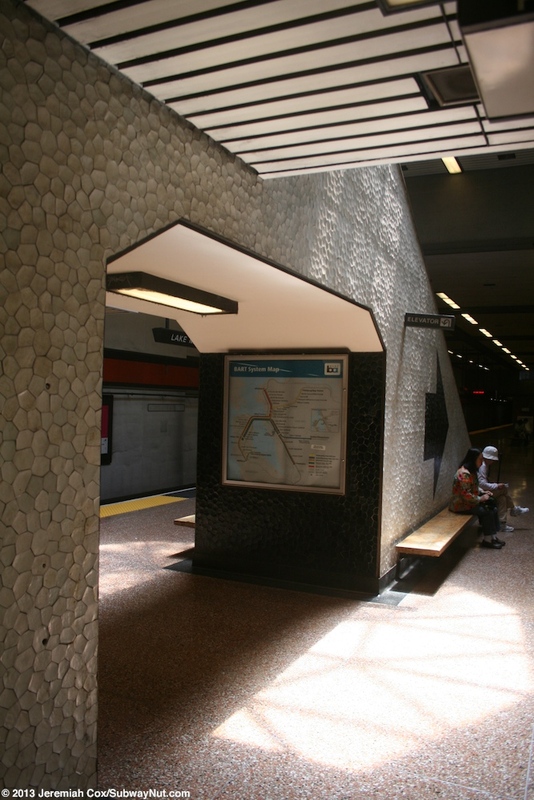 At the surface along the east side of Oak Street is a concrete roofed bus stop that has some bike boxes. 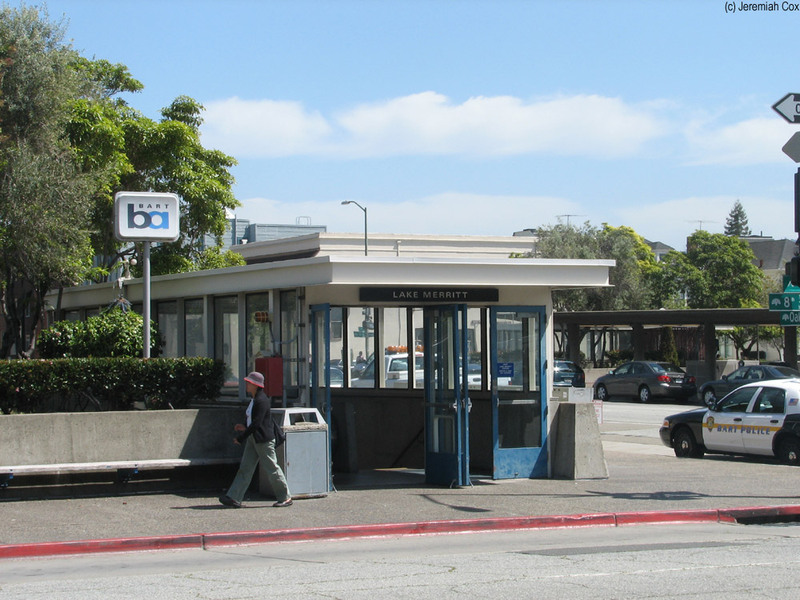 Behind this bus stop is a small BART Parking lot, there is an additional small parking lot a block south of the station. 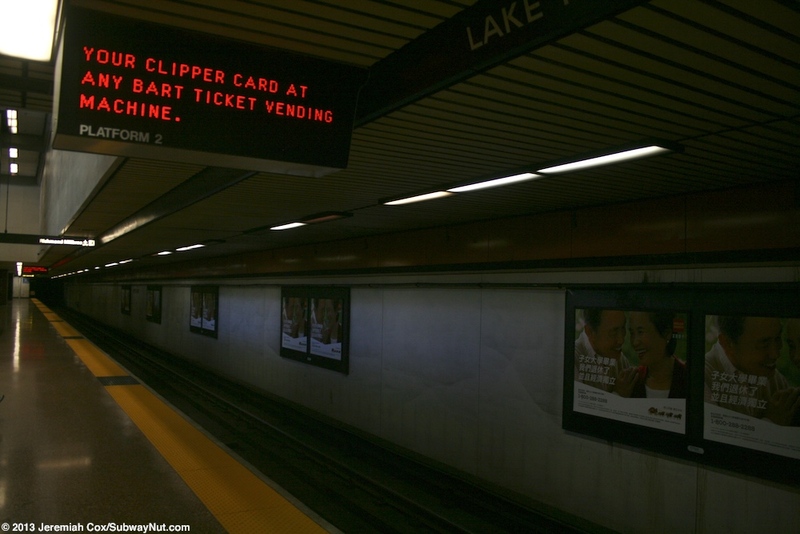 There a total of 207 parking spaces.